First line: This is how I come to kill my father. It begins like this. What I read: The first chapter (up to 10% in the ebook). Would I read the rest of it? 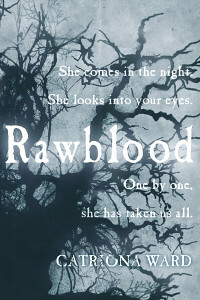 I definitely will - Rawblood appears to be quite unlike any other horror/ghost/gothic story I've read. This is probably because it opens with Iris's idiosyncratic voice; her unusual uses of many words, plus the staccato dialogue between her and Tom, take a bit of getting used to, but there's no doubt her narrative is addictive. It's not clear at this point whether the Villarcas' condition, which has the evocative moniker 'horror autotoxicus', is real or something invented by her rather austere father in order to control her; but given the genre this book has been placed in, I think it's safe to assume there is some real danger here... though I doubt it's what Iris thinks it is. At the beginning of chapter 2, the narration switches to medical student Charles Danforth, 30 years before Iris's chapter - will the perspective and time period change with every chapter, or will some characters be revisited? I'm really looking forward to going back to this, partly because I have no idea exactly what route the plot is going to take and/or how the story will ultimately be told. 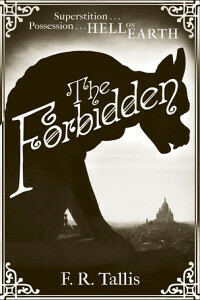 First line: During the great siege of Paris I had worked alongside one of the Poor Sisters of the Precious Blood. What I read: Part 1 (21%). Would I read the rest of it? Sadly, this didn't hold my attention in the way I'd hoped it would, nor the way I expected it to from the fantastic opening pages. Part of the problem, I think - and it initially seemed like the opposite of a problem! - was that the epilogue is so engaging and exciting; when the story shifts to Paris, it just doesn't seem anywhere near as interesting. The narrator's voice is rather dry and characterless, though that does make sense for an account supposedly written by a Victorian-era doctor, and doesn't necessarily have to be a major issue when it comes to this sort of fiction. But I did notice, with some disappointment, that certain elements from another book by the same author - The Sleep Room - also occur here, including a sugary, somewhat offputting romance. It was when I reached an extremely gory dream sequence that I decided this was too 'horror' to be quite what I was looking for. I enjoyed The Sleep Room and would recommend it, but this didn't live up to that standard (and, at the same time, felt a little too similar). The premise: In the small desert town of Night Vale, the lives of two women, each with her own mystery to unravel, converge. Jackie is a pawn shop owner, given a paper marked 'KING CITY' by a mysterious man in a tan jacket; Diane is mother to Josh, who's showing an increasingly strong interest in his estranged father. First line: Pawnshops in Night Vale work like this. What I read: Chapters 1-3 (8%). Would I read the rest of it? No; this one's not for me. My familiarity with the Night Vale universe prior to this has been limited - I've listened to bits of the podcast (I've never really understood podcasts, probably because I am Too Old) and favourited the occasional tweet, but nevertheless, I couldn't help feeling drawn to the book. Creepy goings-on in a strange town where 'all the conspiracy theories you've ever heard are actually true'? Sign me up! Unfortunately, the tone is very uneven and the strangeness often feels like it's there for its own sake rather than making sense in the context of this particular story. You can tell exactly where soundbites from the podcast or social media posts have been worked into the text, and while these might be brilliant in isolation, they lose their impact and meaning as part of the wider narrative. 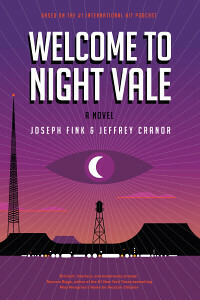 Welcome To Night Vale has much in common with Discovering Scarfolk, a book based on a blog, which also presented an absurd portrait of a small town filled with macabre details, but failed to create a coherent base for characters or plot. It may be more enjoyable for those who are already big fans of the podcast, and most of the reviews currently online seem to bear this out (although I really feel an adaptation of any such 'phenomenon' should be able to appeal to an audience beyond the existing fanbase). I received my copies of Rawblood and Welcome To Night Vale from the publishers through NetGalley.